Summer approaches so very quickly and one can never be fully prepared for all that a summer of camp entails. Pray for our camp speakers. That they would be given the words and wisdom that the children in their particular camp need. That they will find a way to explain the Gospel clearly (and quickly, children have short attention spans) and in a way that these little hearts can absorb. Pray that they would be given special insight for this task. It is never easy. Pray for our camp cooks and kitchen staff. So much of what makes camp a safe and loving place comes from the kitchen. The laugh or smile given to a child by a busy kitchen worker at just the right time. Good food served with Love. Patience in the heat of business. A strange mixture of leftovers saved for a fun game. They say the kitchen is the heart of the home…we see something similar at camp as well. Pray for the hardworking staff who do so much more than provide food. Pray for the camp counselors. Senior Counselors, Junior Counselors, Counselors In Training. All of these need your prayers, right now and all summer long, and into the days past camp that can be a struggle as well. So often, your camp counselor makes the difference between a fabulous week of camp and a terrible experience. Pray for these young people as they are trained on June 20th through the 25th. Pray for them as they serve day and night for the week or weeks that they are working. Pray for wisdom as they must lovingly deal with rowdiness and shyness, kids who want to bully and kids who want to disappear, children who are homesick and children who would love to take over and run camp their own way. Children who know all about the Bible and think there is nothing new to learn and children who have never looked up a verse on their own. 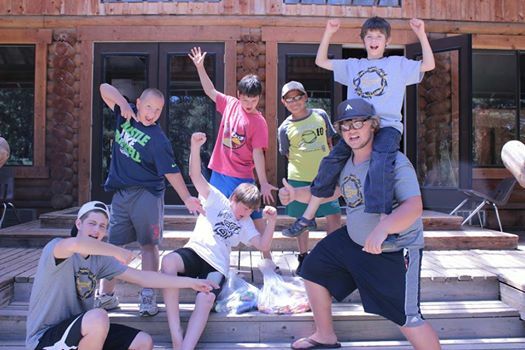 Pray for the C.I.T.’s who are plunging into the world of camp for the first time. Pray for the Junior Counselors who are supporting their leading counselor. Pray for the Senior Counselors who must make the decisions in the cabin. Pray that the Lord would give them strength and wisdom and love for each moment as it occurs and that they would remember to seek Him at every juncture. Pray that the Lord would send us the counselors that we need, just the right ones, at just the right time. Pray for the camp nurses. That we would have enough volunteers to cover each week of camp. Pray for them as they must distinguish between a child who says they are in pain who is really homesick and needs some motherly TLC and a child who really should go home but is hiding their pain in order to stay at camp. Camp nurses must keep track of all that baffling medication, from simple vitamins to powerful medicines that must be consumed exactly two hours before food but never after exercise or before eating broccoli. So much of camp nursing is the giving out of hugs and bandages to kids who are missing the normal routine of home. Pray that our nurses have wisdom to see when a child needs a little extra care, even when the wound is not urgent. The camp nurse is also on the lookout for that occasional serious medical issue that must be addressed with speed and skill. Pray for them, the health of an entire camp can be a heavy lode to bear. Pray for our summer interns. Pray for them as they leap into an entire summer of ministry doing everything under the sun from planning and implementing a game that involves pickles, mayonnaise, and a gallon of lunch punch, to running program, sitting in on cabin discussions, praying with the counsel staff, doing back-breaking maintenance, to even counseling a cabin if the need arises. Pray for the permanent staff. For Choco as he keeps everything working in the summer heat, drives bus, and leaps into any and every situation with patience and skill. Pray for Pippen as he works on program and grounds and paintball and perhaps even counsels. Pray as he works pretty much wherever we need him. Pray for Scruffy as the weight of the summer and all that we pray to accomplish rests on him. There is never time to do everything. Pray that the tasks The Lord wants accomplished this summer would rise to the forefront and be achieved in God’s power and for His glory. 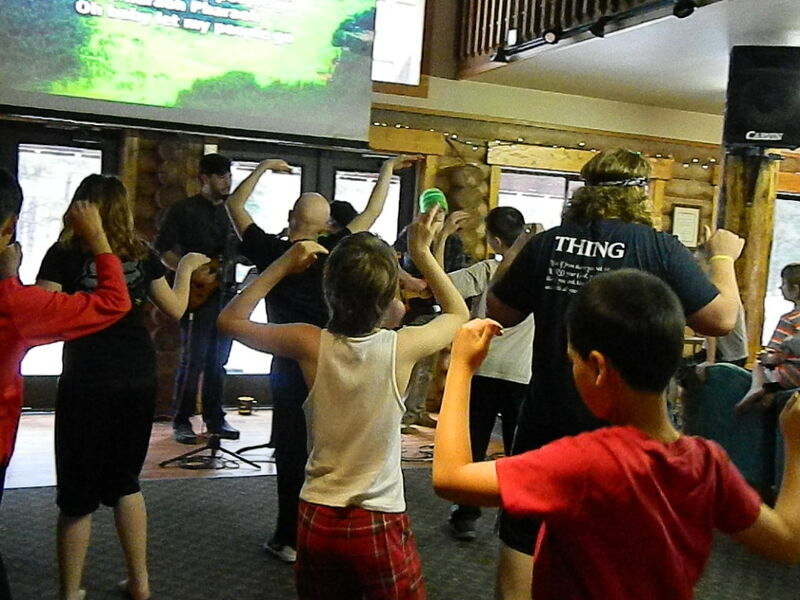 Pray for Scruffy as he trains the staff and leads them and provides wisdom and support for each cabin and counselor. Pray for the campers. There is such a boundless variety of children who come to camp. The brand new camper taking that first big step away from a safe and loving home for the first time. Frightened to spend a whole week somewhere new but braving the adventure all the same. The child who escapes a war zone at home and is running to somewhere safe. The child who needs to learn to listen to his cabin mates and the child who needs to learn to open his heart and speak. Pray for each and every one. That the Lord will give each of them a friend at camp, a counselor who sees and understands them, a speaker who can open God’s word in a way they comprehend, and a week of safety in which they can simply be children, learning, growing, stretching, but also just having fun. Pray for us here at Camas Meadows Bible Camp. This is an impossible task. But with God, the impossible becomes reality and it is to Him that we must seek the strength with which we approach the summer. Stand before His throne with us and be a part of all that He intends to do.